Many people, scientists and non-scientists alike, object to what they perceive as genetic determinism. This is often a reaction to geneticists apparently over-reaching and claiming that some trait or condition is “caused by” a single gene. A common rejoinder is that any biological process obviously involves many hundreds of gene products, interacting with each other in complex ways and so it is nonsense to say that the trait is determined by a single gene. That is absolutely true, if you are using the word “gene” purely in the molecular biology sense – as a piece of DNA that encodes a particular product (usually a protein). 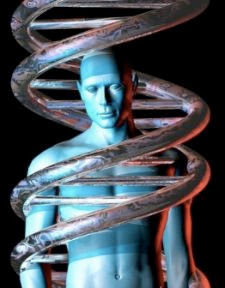 But geneticists also use it in the original sense, as a unit of heredity – a genetic variant or mutation that can be passed on across generations and that influences some phenotype.